We spend a third of our lives in bed, but how much do we really understand about what happens when we go to sleep? What's the right amount? Why do we experience jet lag? Is snoring normal? Enter Dr. Meir Kryger, a world authority on the science of sleep, with a comprehensive guide to the science of slumber that combines detailed case studies and pragmatic advice. Everyone needs sleep, and many of us will experience some difficulty sleeping over the course of our lifetimes (or know someone who does). 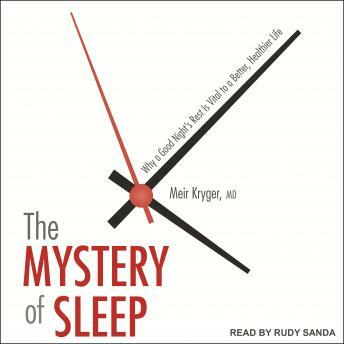 Kryger's comprehensive text is a much-needed bedside resource for insomniacs, those who can't stay awake, and the simply curious. Uniquely wide ranging, this is part scientific history and part handbook of sleep and the disorders that affect it.